“Come here. Come here quick! YOU HAVE TO SEE THIS.” My husband is shouting from the other room. First of all, I see a bluegrass band. Monster musicians, they are. Guitar, fiddle, mandolin, piano, upright bass. The banjo player is hot! I lean into the T.V. for a closer look, so close I feel the heat emanating from the screen. The guy has a thumb and part of an index finger. That’s it for fingers. The rest are nubs, like little toes. But his left hand moves across the neck of the banjo in this crazy beautiful dance. His name is Barry Abernathy and he has found a wondrous, unorthodox way to position his left hand so he can play. A quick Google search reveals that he gravitated towards players in his bluegrass neighborhood, asked them to show him a lick, then he figured out how to play it. 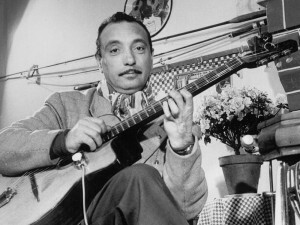 Then there’s gypsy jazz guitarist Django Reinhardt. His whole life changed when he was 18 years old and severely burned in a fire. The doctors said he would never play guitar again. But he developed a unique style, using the two good fingers on his right hand and the scarred ones on his left. His enormous talent and innovation resonate with players today. 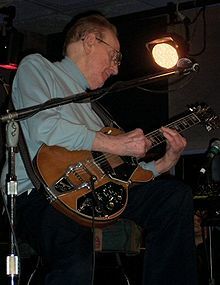 In his early thirties, Les Paul nearly died in an automobile accident. His right arm was crushed and it was bad, bad, bad. The doctors wanted to amputate. But they set the arm instead, at a permanent 90 degree angle, so he could still strum the guitar. It took him two years to recover AND adapt. But he did. And he continued to perform well into “elderhood.” And invent cool stuff like multi-track recording and the iconic Gibson Les Paul Guitar. 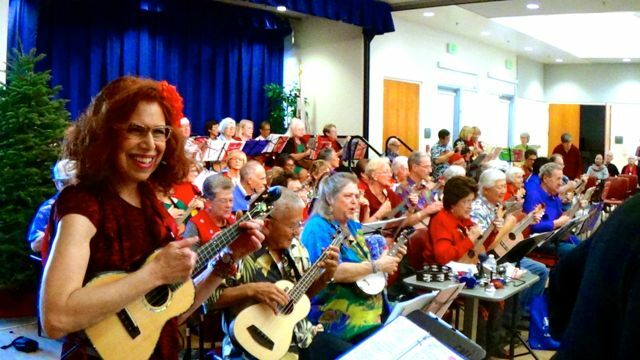 In my ukulele classes we do hand exercises. This little act of rubbing and stretching is a reminder that our body parts matter. They are precious. The exercises encourage me to get out of my head, where I usually live, and check in with my fingers and hands, my back and front, top and bottom. Yes that means accepting the truth that our bodies get tired, hurt, stiff, worn-out and out-of-whack, in one way or another. But we find a way. That’s all. We find a way. 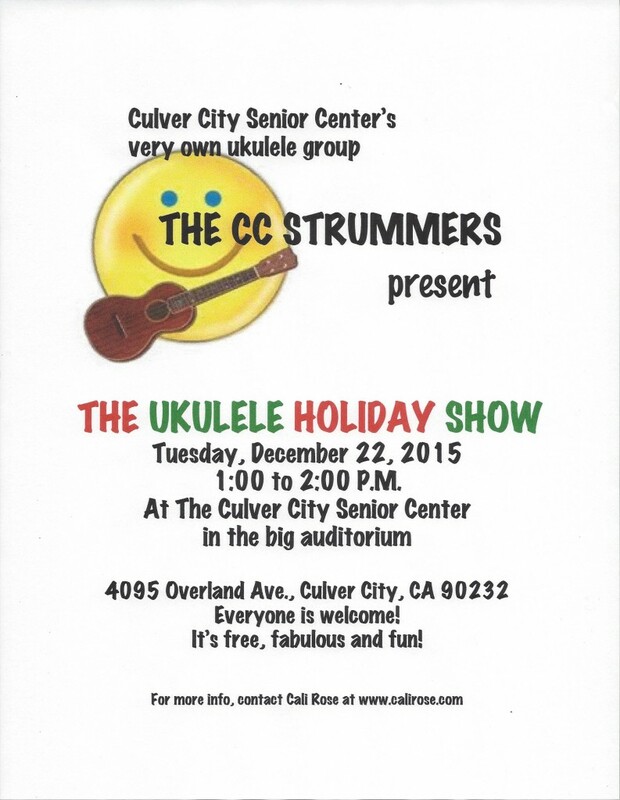 The CC Strummers and I are presenting our Ukulele Holiday Show Tuesday, December 22, 2015, from 1:00 to 2:00 P.M. at the Culver City Senior Center. If you live in Los Angeles and need a bolus of joy or an hour off from the holiday rushy-rushy , please join us. You will have a blast! 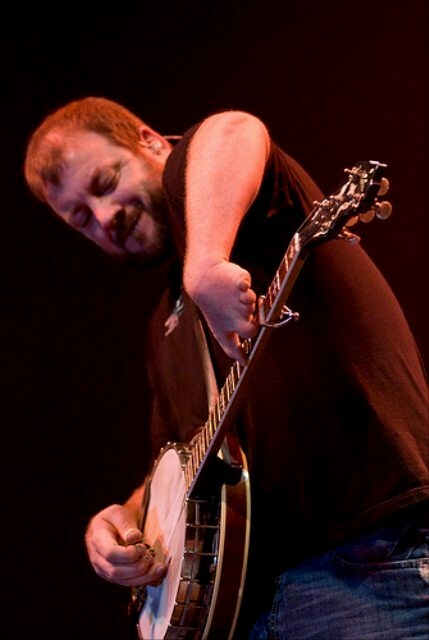 I can’t thank you enough for sending the email blast with Barry Abernathy (banjo) and his story. I’ve listened to Mountain Heart for years but never knew of his left-hand challenge. Yes, if there’s a will…. 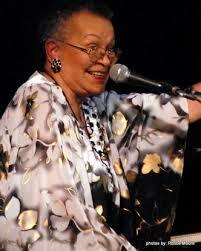 That’s a great blog reminding us to make the most of what we have – every day. I have a student that joined my group this year who is missing the first two joints on his left hand index finger, so he’s learning to play with his uke in the left hand configuration. This is a new challenge for me, but I think we can figure it out together.